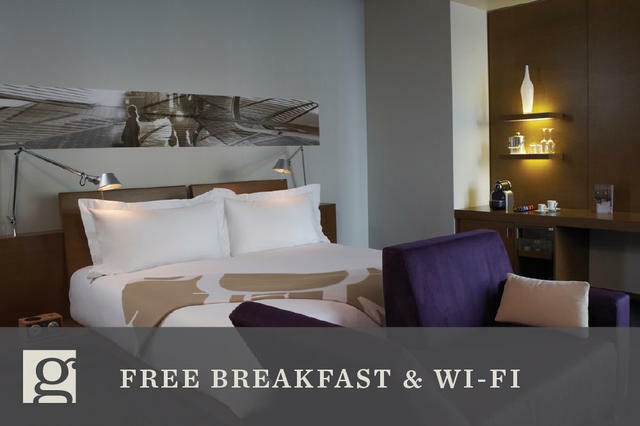 Superior First Class Modern Hotel. 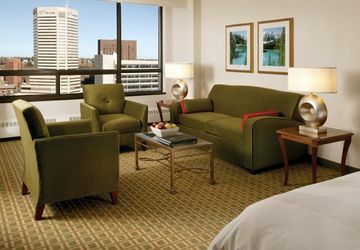 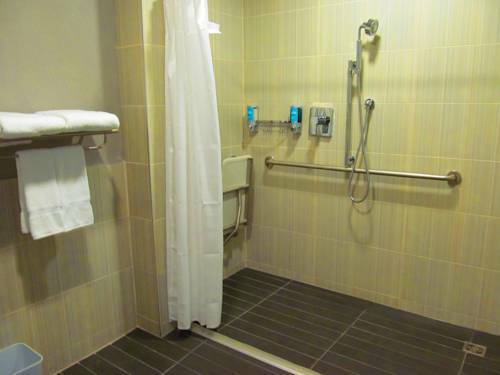 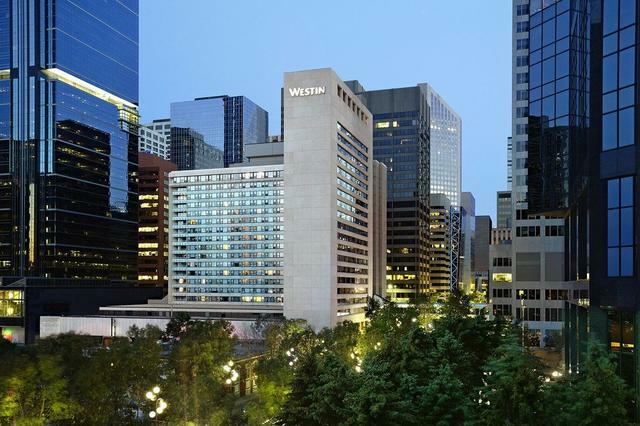 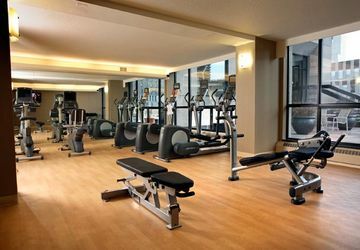 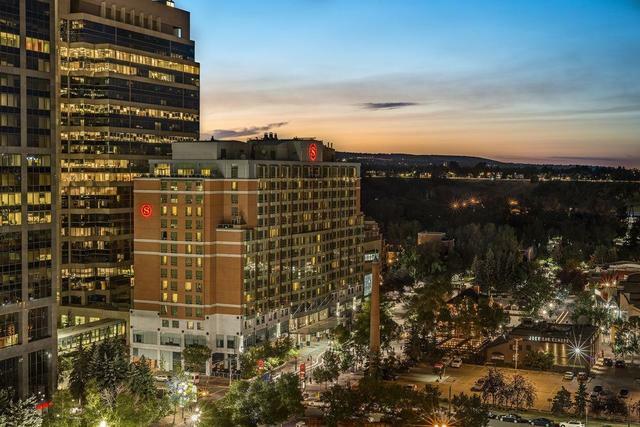 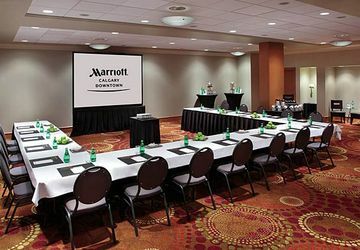 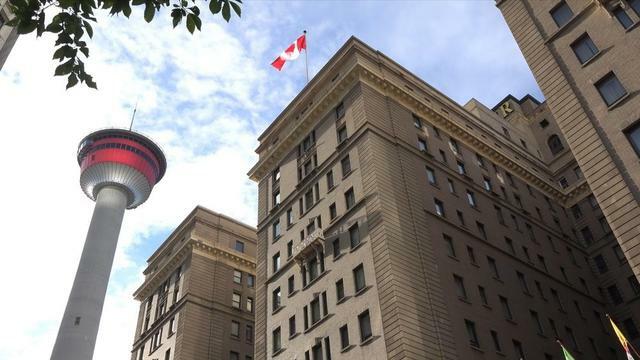 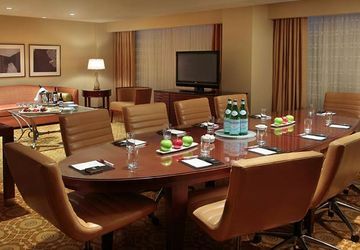 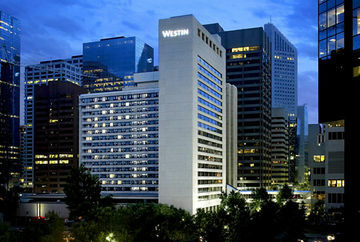 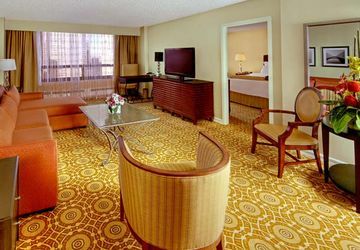 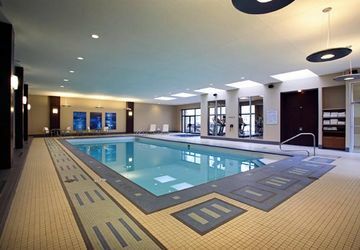 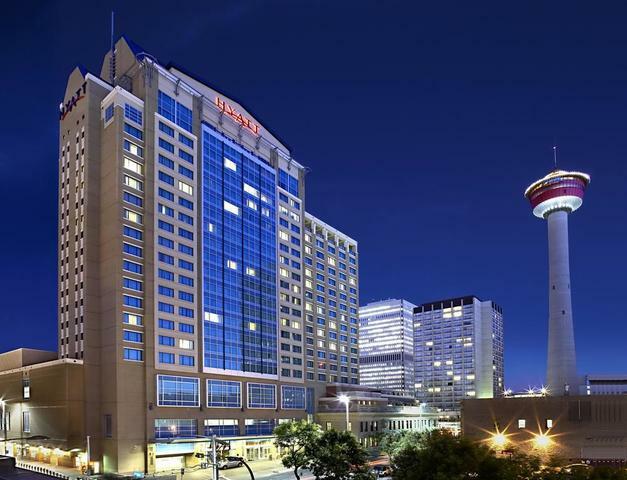 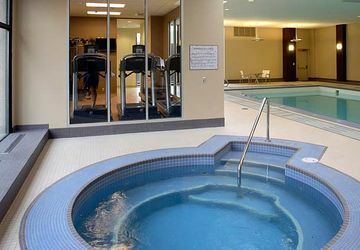 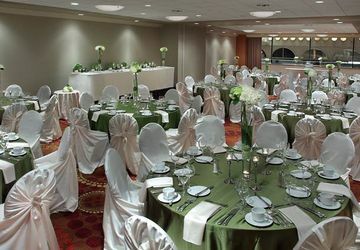 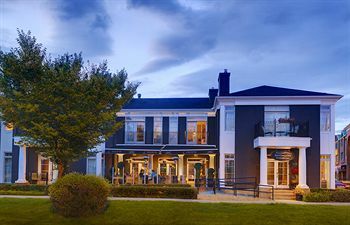 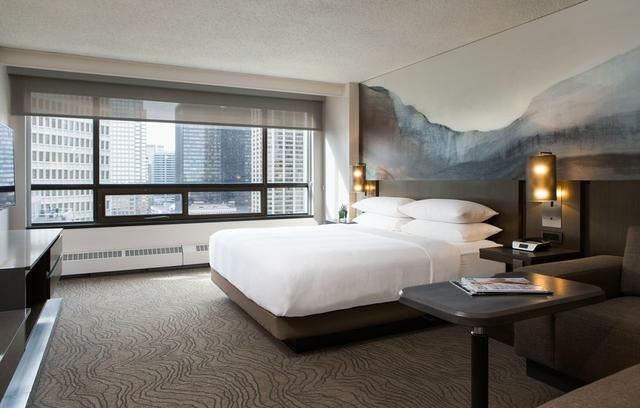 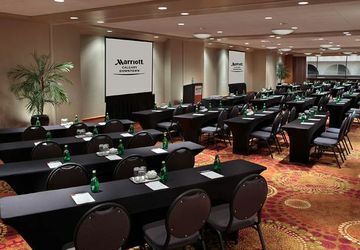 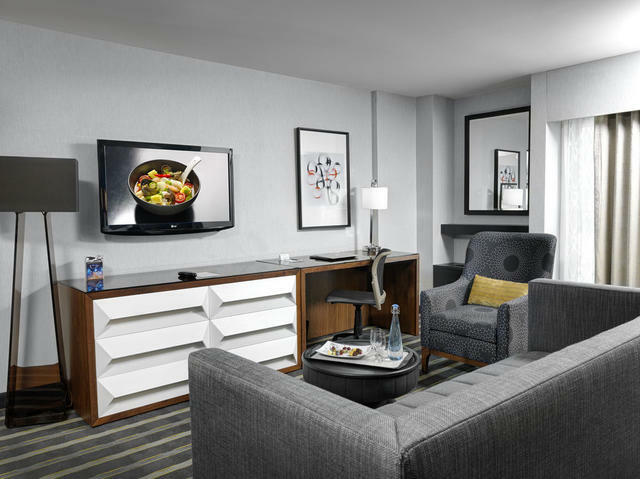 The Marriott is located in the heart of downtown Calgary and is attached to the Glenbow Museum, the Epcor Centre for the Arts and directly across from the Calgary Tower. 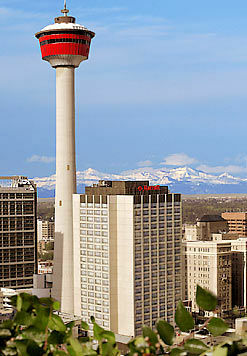 The hotel borders Stephen Avenue Mall with its eclectic mix of restaurants and galleries. 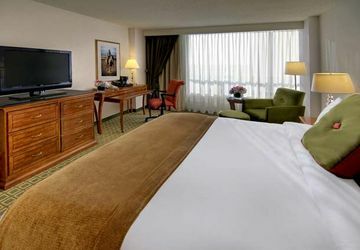 Largest guestrooms in the downtown are all equipped with the standard amenities: iron, ironing board, coffee/tea maker, in room movies, high speed internet access, windows that open, comforting duvets and extra fluffy pillows. 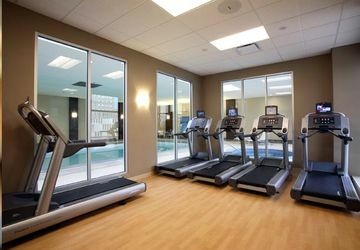 100% non smoking. 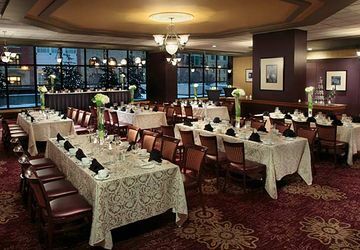 Trader's Grill is the hotel's Upscale Casual Dining experience. 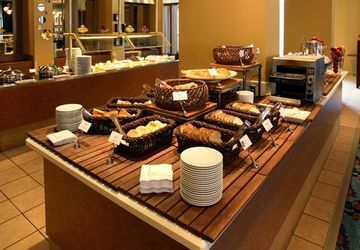 The restaurant features an international upscale casual menu and is open for breakfast, lunch and dinner. 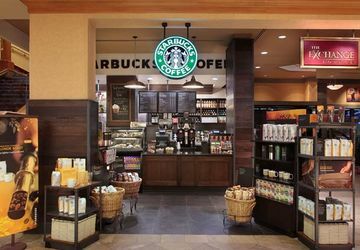 A bright and spacious welcoming lobby, home to a full service Starbucks where guests can treat tehmselves to a latte. 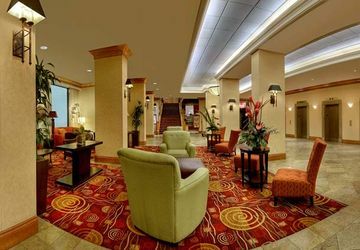 The hotel has a medium sized lobby with automatic revolving doors allowing guests to enter the hotel with a sensor opening the doors. 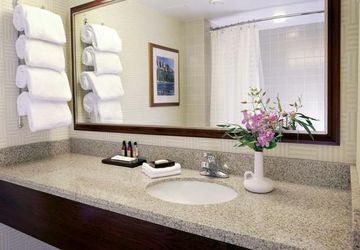 The large front desk has friendly staff. 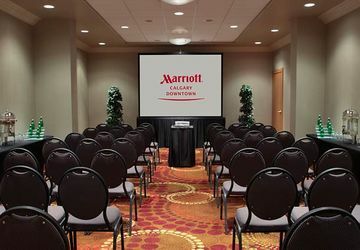 Concierge desk available field guest questions. 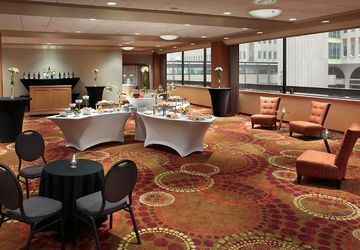 Seating area, gift shop, coffee and lounge are located in the lobby.